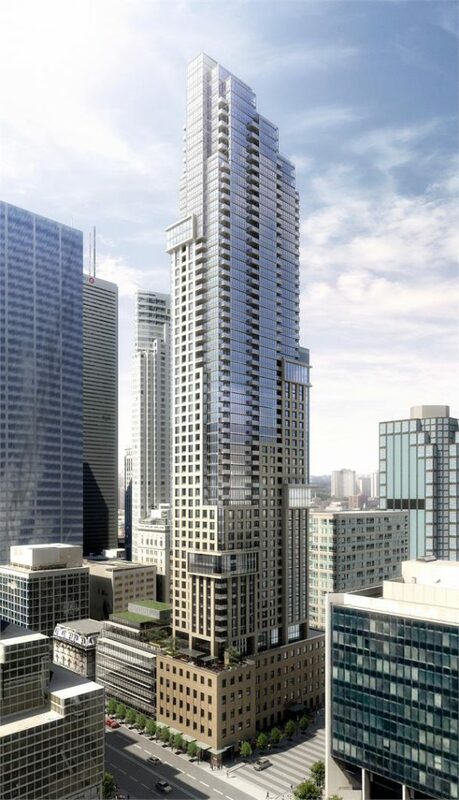 After releasing the final selection of suites earlier this year, 88 Scott by Concert Properties is nearly sold out. 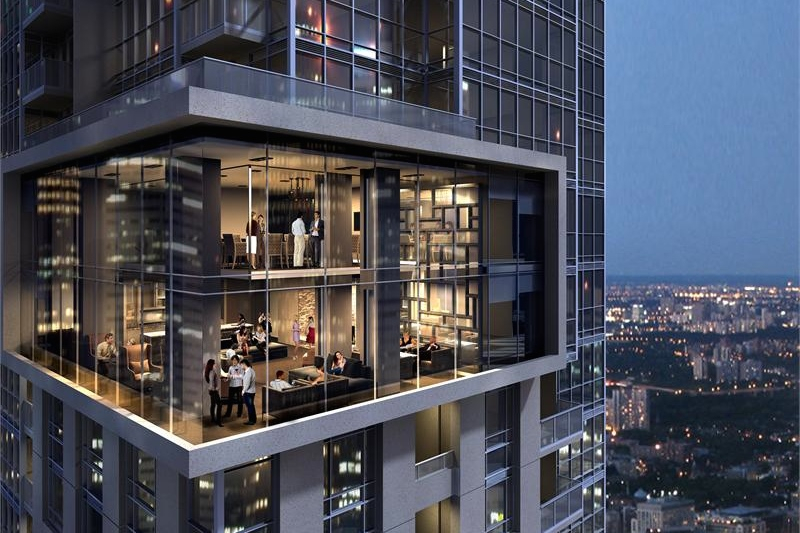 The 525-unit condominium is now over 90 per cent sold and construction on the project is well underway with the five-storey podium nearly complete and the tower portion expected to begin rising by the end of the month. 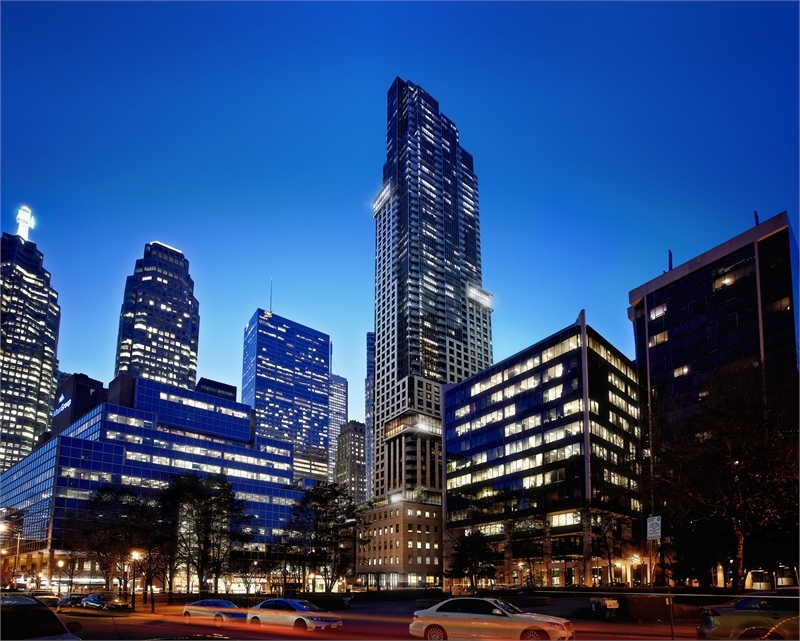 When completed in 2017, the 58-storey Page + Steele and IBI Group-designed tower will rise above the corner of Scott Street and Wellington Street in downtown Toronto. The podium will incorporate the rebuilt limestone and granite facade of the former Royal Sun Alliance Insurance Building which once stood on the site. Inside, the multi-level podium will house a mix of commercial and retail space along with many of the development’s amenities. These include an impressive entranceway and lobby with a 24-hour concierge and doorman, Wi-Fi multimedia lounge, coffee bar and fireside lounge and a private boardroom. More amenities are found on the sixth floor Core Club where residents will have access to a Wi-Fi enabled lounge with kitchen and bar, fireplace, billiards room and a private screening room. A fully-equipped fitness studio featuring a cardio, yoga, weight training room and a central juice bar is also included, along with a seamless-edge indoor pool. Other amenities include two furnished guest suites, a pet wash area, steam and sauna rooms, bicycle parking and an expansive outdoor terrace with green space, barbecues, alfresco dining and fireplace and outdoor fitness/sunbathing area. 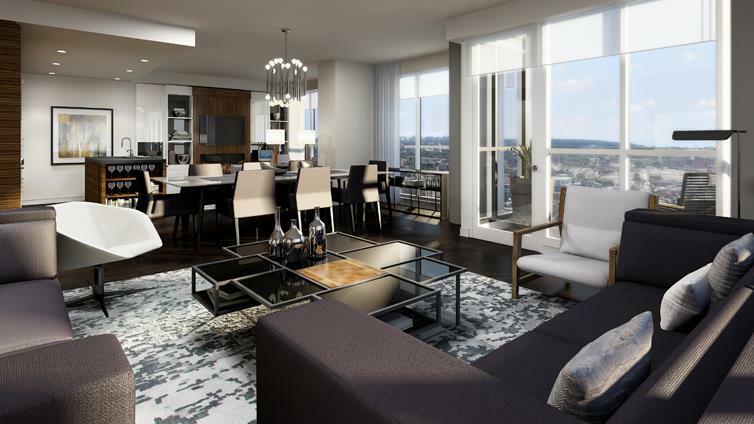 Although the development is now over 90 per cent sold, there’s still a great selection of two bedroom suites with dens priced at over $1 million available. Designed by renowned interior design firm Union 31, the suites at 88 Scott boast wide plank laminate floors, smooth ceilings, corian countertops, custom roller shades on all exterior windows. For more information, register online or call 416 216 8588.